Is HGH (Human Growth Hormone) Legal In Canada? Human growth hormone or HGH is naturally produced by the pituitary gland which is part of a person’s endocrine system, and its principal function is to produce hormones into the organism’s blood system. HGH’s main function is growth, cell reproduction, and regeneration. With the help of HGH, the human organism can build and repair healthy tissue in the organs, including the brain, as well as help the healing process, repair muscle tissue and build muscle mass. It also has metabolism boosting and fat burning properties. Some studies also show that HGH can slow aging, help with age-related diseases and improve the quality of the skin. However, this kind of research is quite limited today. 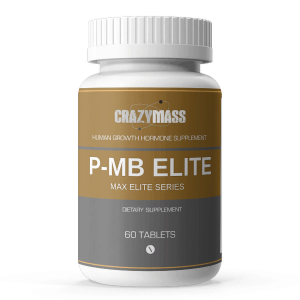 Generally, human growth hormone is a substance produced naturally by the organism, but it is also available in the form of a synthetic supplement. With all its benefits, it, however, can pose some risks for your health. Human growth hormone has multiple advantages and can help a person with some particular health conditions. For example, it is prescribed to children or adults with poor growth condition, and it’s used by people to treat muscle loss due to HIV or AIDS. HGH can help people improve their bone density, build muscle mass, increase exercise capacity and burn body fat. For some of these reasons, some people use HGH to boost their athletic ability. HGH has some side effects and can pose a risk to your health, so it’s essential to be extremely cautious about using it. Older people are prone to any possible side effect of the HGH more than younger people. Among the potential side effects are high blood pressure, joint and muscle pain, fluid retention, diabetes. However, not all of them are well-studied yet, and there are still multiple factors and side effects that remain unknown. Like in many other countries, in Canada, the HGH is a prescription-only drug and should be used only for medical purposes. It cannot be imported or sold for personal use without a doctor’s prescription. HGH is a very powerful drug and requires professional monitoring to be used safely and efficiently. On the other hand, while HGH injections are banned until prescribed, there are HGH supplements sold by sport nutrition stores. There you can buy them legally without a prescription. HGH supplements are also known as enhancers or boosters, do not contain pure human growth hormone. So, they are not manufactured to substitute the HGH production but rather to support the production of the hormone from the pituitary gland. According to the Canadian regulation, HGH supplements are legal, but you should be aware of the ingredients they contain as not all of them may be useful. Buying the supplements from the quality companies will lower the risk of getting any risky experiences. There are some guidelines provided by the Canadian Food Inspection Agency where you can find some useful information on the matter as well as the regulations concerning food and drugs. We believe in creating success stories for people who want the body they deserve. In the bodybuilding world, it can be a challenge to find the right supplements that work best for most active workouts. 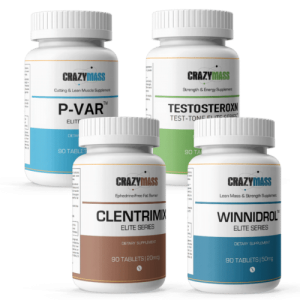 At CrazyMass, we have developed expert-formulated bodybuilding supplements that produce steroid-like results, but in a safe way. 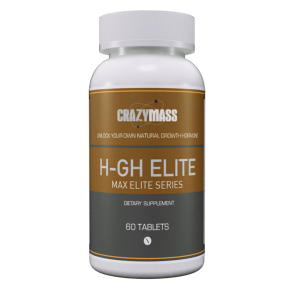 Our H-GH Elite Series supplement is the leading legal bodybuilding choice for HGH supplements.